Ilayathalapathy Vijay’s upcoming film produced by Vijaya Studios was earlier rumored to be titled as Engal Veetu Pillai. Since the title looked very apt for Vijay, his fans believed it to be the official title and even started trending it on Twitter. An official announcement from the team was issued today(13/8/2016) that Vijay 60 movie is not named 'Engal Veetu Pillai'. The production team has also requested fans not to believe in such unwarranted rumours. Vijay 60 being directed by Bharathan is steadily progressing. The film features Keerthy Suresh as the heroine with Jagapathy Babu, Daniel Balaji, Satish and others. The film is said to be getting ready for a Pongal 2017 release. What altered Vijay's shoot plans today? Will Ilayathalapathy Vijay change his policy for Sundar C? Theri’s ton on Kabali day! Vijay as the Great Emperor Ashoka? This page hosts a weekly slideshow related to Tamil movies. Each slide includes a picture and some description about that picture. All the slides will have a recurring theme. People looking for actress stills, actress images, actor stills, actor images, movie stills, movie images, and other interesting topics, relevant issues in Tamil cinema will find this page useful. 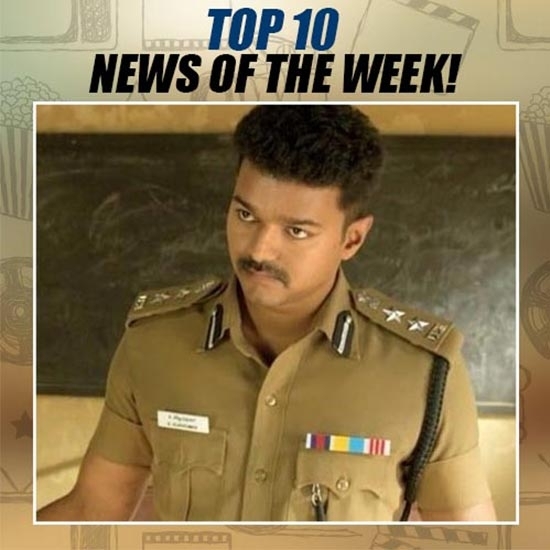 VIJAY'S STRICT NO TO ENGAL VEETU PILLAI | Top 10 News for the week (Aug 13 - Aug 06).